Blue Dream from Humboldt is a feminised cannabis strain which is originated by crossing the Blueberry x Haze. These weedplants have Sativa dominant genetics. 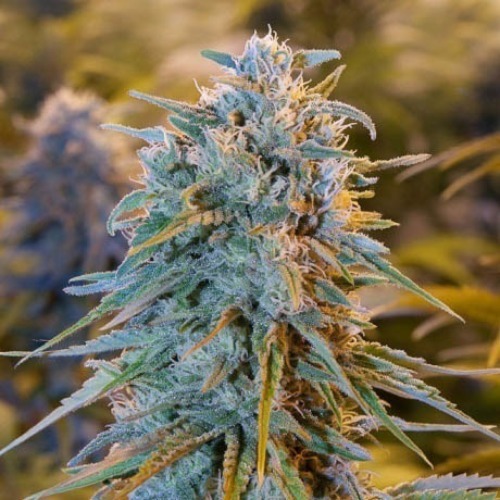 Humboldt Blue Dream cannabis seeds can be used in an indoor and an outdoor grow. The weedplants grow fast, become large and wide and produce beautiful buds with a high THC percentage. Indoor you will produce a high yield, but outdoor she produces even a higher yield. The taste of smoking this cannabis is a mix of lime, pithy, sweet and earthy flavors. The effect of smoking this cannabis is a typical Sativa, that creates a mental high and slowly it turns into a physically relaxed feeling. This cannabis strain could also be used as medicinal weed because of her pain killing effect. Tell us and our customers what you think of the Blue Dream from Humboldt.